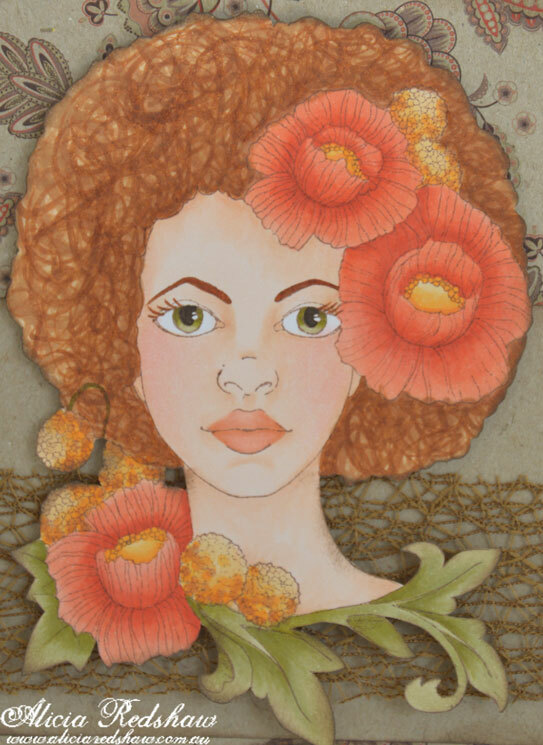 I will be teaching this Copic Card at Scrapbook Fantasies this week. The cost for this class is just $15 which includes the kit, tuition and tea/coffee. I am teaching one session only for this class: Thursday 12 June @ 10am. You are welcome to email bookings to me direct on: aredshaw@bigpond.net.au or ring the store on 4972 2117. Please bring Copic pens and basic tools.